“Early in our prototyping phase in October, we already got very positive feedback that made us feel that we found something valuable to many people,” Dubsmash co-founder Roland Grenke tells TechCrunch. Despite Dubsmash’s seemingly overnight success, it is actually the team’s third attempt at an app since starting the company in mid-2013 after the three founders met at a hackathon in Berlin the previous year. The most recent effort prior to Dubsmash was Starlize, an app that let you create personal music videos. “[It was] similar to Dubsmash in the sense that it also used User-Generated videos and external sounds. But we had the feeling that it was too complex for most users,” explains Grenke. The other lessons gleaned from Starlize’s failure were that people preferred to share privately, most of the fun was in sending different videos back and forth as part of a conversation, and video creation had to be “super fast and easy,” with the minimum number of clicks and an emphasis on shorter videos. That pivotal moment has led to Dubsmash being downloaded “millions” of times, even though the app itself, which has since expanded to Android, still resembles the team’s original MVP. The UI is rudimentary. You simply select from the app’s list of available sounds, browsable by category, and tap to begin recording your Dubsmash-styled video selfie. As further evidence of the startup’s lean philosophy, video sharing is done externally, via messaging apps such as Facebook Messenger and WhatsApp. 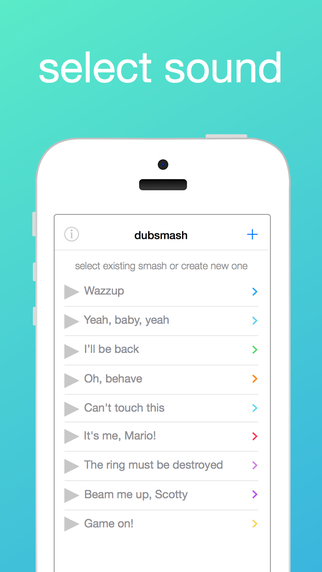 The only way to save your Dubsmash video is to download it to your phone. This also has the advantage that cloud storage costs are currently being kept to a minimum, with only the app’s available sounds hosted by the startup. To that end, there’s obvious potential copyright issues inherent in Dubsmash, since the majority of uploaded sounds are from unlicensed content, namely TV and film sound clips. Thus far, however, this hasn’t been a problem, says Grenke. Should that change, the startup plans to work within a ‘take-down notice’ model when a license holder complains. He also believes that brands — and therefore copyright holders — will eventually be keen to work directly with the app, providing one potential route to monetization. Or perhaps they’ll simply turn a blind eye to the resulting User-Generated Content. Meanwhile, on the product side, it’s also early days. “We have lots of ideas of how to build a sticky product and we will improve the app on a continuous basis,” says Grenke.